Every love story has a beginning. 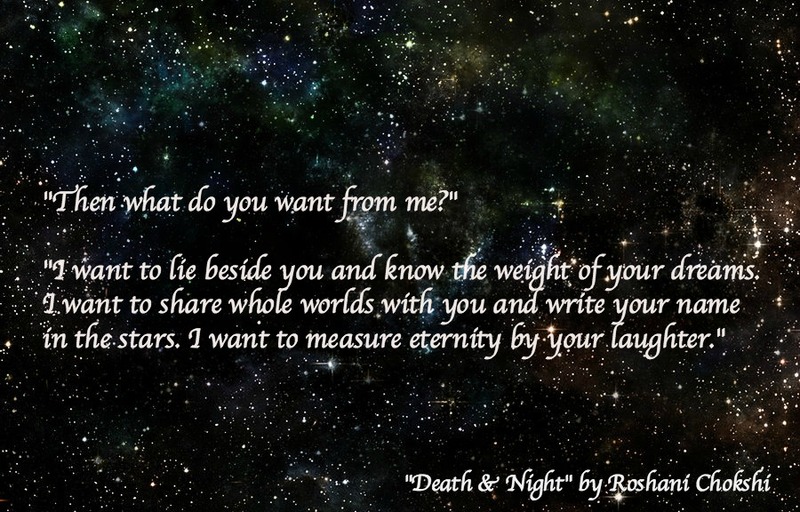 Death and Night by Roshani Chokshi explores that beginning for Maya and Amar of The Star-Touched Queen in this must read novella! It’s no secret that I’ve adored Roshani Chokshi’s Star Touched series since it debuted. Her writing is gorgeous, and her world building is incredible. These stories are magic, pure and simple. 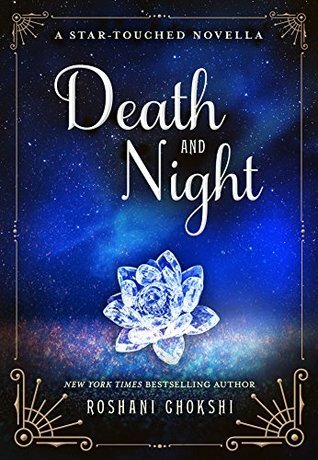 In Death & Night, we meet Maya and Amar before they are Maya and Amar. Here they are Night & Death. During the day, Death roams around his palace. The paintings mock him and there are whispers through the hallways about him being alone. The tapestry he is in charge of shows him–repeatedly–that he is missing something in his life. His trusted advisor, Gupta, thinks that it’s time he found a bride to help carry the burden of his duties, but Death doesn’t want that. A long time ago, a curse was laid on Death, and he doesn’t want to risk the pain that would come along with it. So, Death settles on the idea of a marriage of convenience. Living on the edge of the human world and the Otherworld, Night is of neither. She is viewed as a bringer of death or bad omens to humans and supernatural beings, but in truth, she holds a delicate balance in her hands. Night feels like she offers everyone a clean slate. Her close friend, Nritti, tries to talk her into participating in the Teej, a ceremony at the Night Bazaar where men and women line up and choose their future spouse by simply looking at the hand that’s exposed while the rest of them is covered. Night wants no part of it. She grows her Dream fruit and sells in it the Night Bazaar, and in return, she asks for her customers to tell them their dreams or about their life, hoping that something of her’s stuck with them. She wants acknowledgement. Death is in the position to offer that to her…if she becomes his Queen. The only problem is convincing her to accept his offer when she wants love, and he wants none of that. The only problem with this is that the longer Death spends getting to know Night, the more in love he falls. 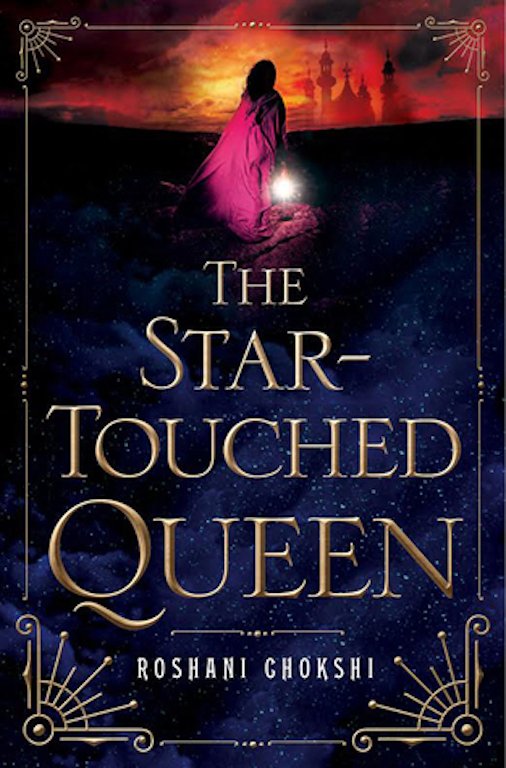 Readers of The Star-Touched Queen will recognize SO MANY things in this novella that will make them flail and swoon. I couldn’t put this down once I started reading. It’s such a beautiful story of how two lonely people come together and create a unique, loving relationship. It also gives us a look into Nritti and her origin story that would lead to the events of The Star-Touched Queen. Night is described in gorgeous fashion. Her body changing to the colors of sunset and night, dusk and dawn. Death has never seen anything as beautiful as her. I highly recommend this novella to fans of series, but also to readers who want to get into the series. It acts as a prequel for the first novel, so you’re not getting spoiled at all. It adds so much to The Star-Touched Queen. You have all summer! Get lost in this enchanting world! 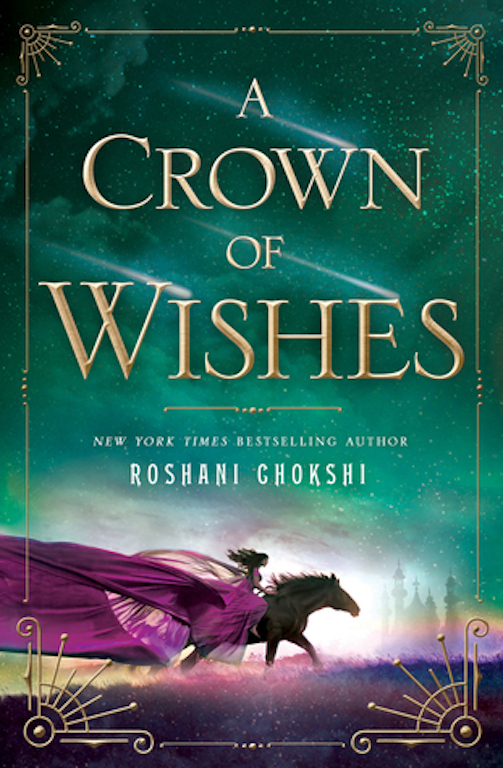 You can also read our reviews for The Star-Touched Queen and A Crown of Wishes!